Once you sign up, the company will assign you a personal account manager, who will interact with creditors and collectors on your behalf to negotiate more reasonable amounts and payment solutions. Moreover, because the company does not collect any monthly or upfront fees, they transparently act in your best interests. We also discovered that the company’s fees are near the lower end of the industry spectrum, between 15% to 25%, although the exact percentage might vary by state. 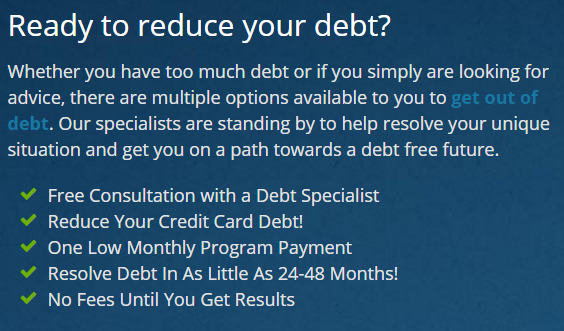 Pacific Debt offers excellent debt relief services, even though it would be nice to see some more variety in its offerings. The company focuses almost exclusively on providing debt negotiation and settlement services. This is a strong positive, though, as it provides an efficient and effective means to deal with mounting debt. The company’s debt negotiators and experts have a proven track record, as well as a deep knowledge of the industry. This allows it to, on average, reduce customers’ debt by 30%, and in many cases even more.